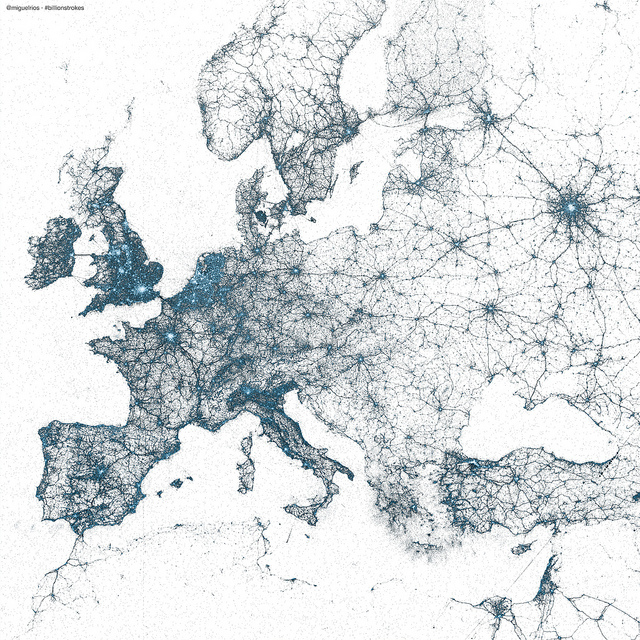 The Visual Insights team at Twitter has published some pretty spectacular images today which depict Europe, as well as a number of iconic cities including New York, Tokyo and Istanbul, using nothing more than the locations of geotagged Tweets. 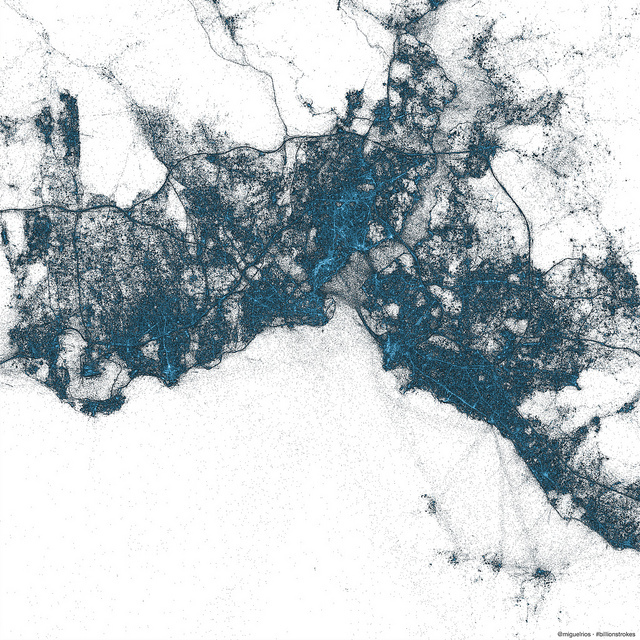 The images here incorporate every geolocated Tweet sent since 2009 – “billions” of Tweets, according to Twitter – with every dot representing a post and the intensity of the color showing the total Tweet count. What’s so impressive is that with all of this context stripped away, the images just look like normal, incredibly accurate maps of the world. 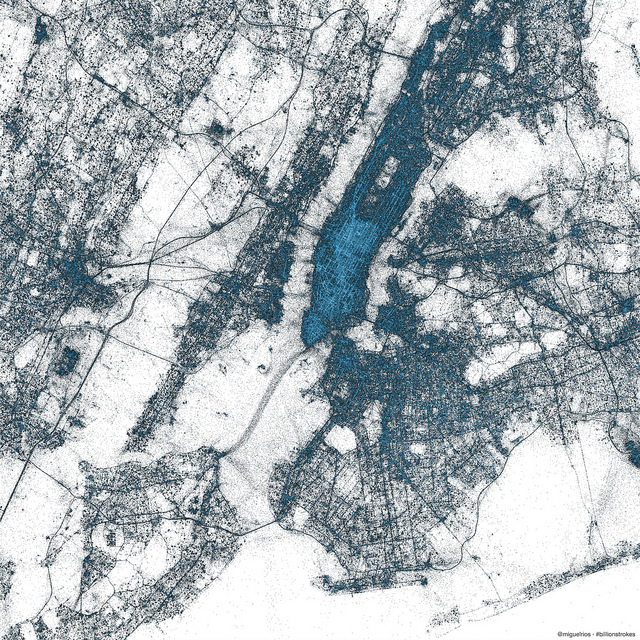 In fact, we’d be willing to bet that if Twitter normalized some of this data and found a way to package it in a user-friendly interface, you would be able to navigate most of Earth’s major cities with no problem at all. 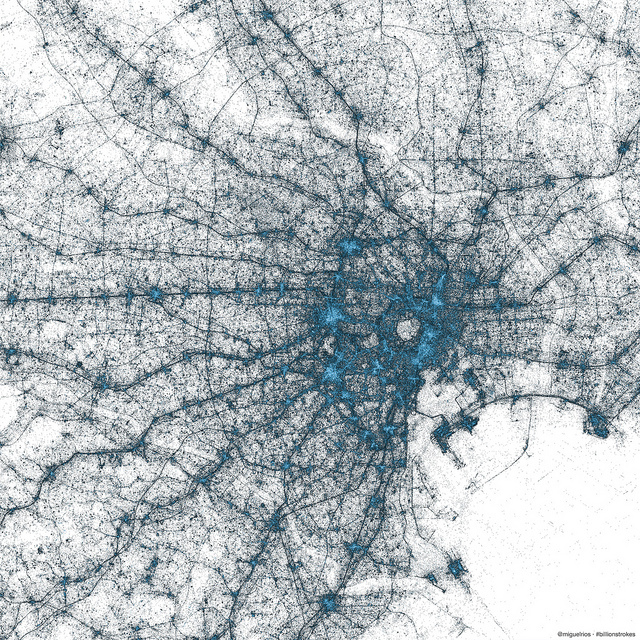 Twitter has been kind enough to publish the full range of cities over on its dedicated Flickr page. It’s yet another stark reminder of how popular Twitter is now, as well as the growth and intensity of its international userbase.